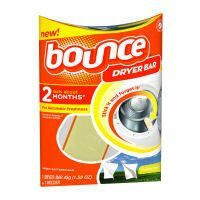 Bounce Dryer Bar, Outdoor Fresh by Bounce at Blog Free Here. SKU: 1390632. MPN: 3700024189. Hurry! Limited time offer. Offer valid only while supplies last. 1 dryer bar - 45 g (1.59 oz) + 1 holder. Dryer safe. Lasts about 2 months (Depends on frequency of use and dryer settings). For automatic freshness. 1 dryer bar - 45 g (1.59 oz) + 1 holder. Dryer safe. Lasts about 2 months (Depends on frequency of use and dryer settings). For automatic freshness. Stick it and forget it! Fabric softener bar. Freshness, static control and softness released for you, so you have one less thing to think about. Safe on fabrics.